*Please note, this chart relates to approximate body measurements for each size. As the sizing of individual garments does vary, this chart should be used as a guide only. The sizing chart listed on our store is based on industry standard sizing. This chart relates to approximate body measurements for each size. 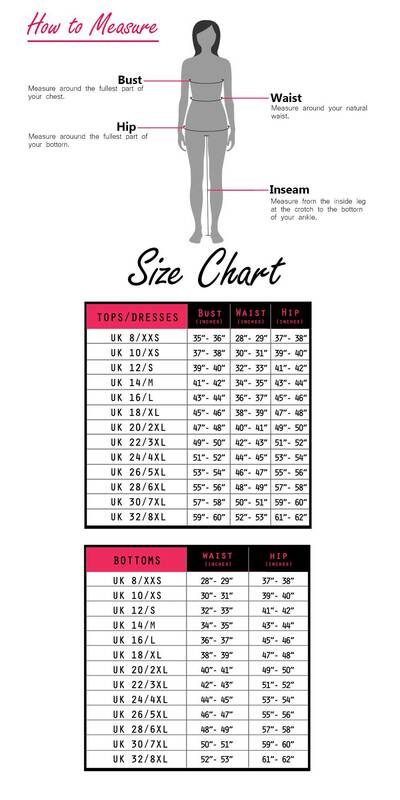 As the sizing of individual garments does vary, this chart should be used as a guide only. Because every body is different we are not able to recommend sizing for customers which is why a sizing chart has been provided to be used as reference to assist you in making the best choice. If you do require a help in selecting the right size, simply contact us and we can then assist you in choosing the right size.